I like that the calling and asking for help is easy and they always figure out the answer to your question. They work with you on the different ticket types you need and are always friendly when you call to ask for help. The system is user friendly for the most part. I don't like that we end up calling a lot for help because the system doesn't do all the things we need it to for our events. It often takes them days to figure out what we want and how to solve that issue. There is a lot of patron information that guests have to fill out and you are supposed to ask when they buy tickets on sight which can get frustrating when you are busy. I wish they would have some sort of conference for it so that we can learn first hand how to do more things with the system. We have received complaints about the system charging cards two times, one charge would usually fall off a few days later, but guests did not like this. Know exactly what you need the system to do and ask specific questions to allow them to help you to their best abilities. We are figuring out how to sell tickets to different events and how to get parking tickets utilized with it. The biggest benefit is the friendly helpful staff who try really hard to answer your questions and make the system do everything you need it to do. "Seat Advisor works for our needs." Seat Advisor does a lot well for the needs of our business. It offers us the chance to sell assigned seats, general admission seating, and other off site events all during one season. The online portion offers 24/7 access to our patrons for all events. I like how I can also control sales dates and times to differ from online and box office. Features like batch printing, patron attributes, and price structures help each business personalize their ticketing to them and their needs. The reporting is fairly simple and easy to comprehend. It provides all information that we are looking for at the end of an event. Particularly, the "Performance statement" and "transaction history" which help in closing out the daily deposit. The design of the online portion could be more attractive. Occasionally, we received complaints from people that cannot work the online side of SABO, it's fairly user friendly, but it could be worked on to be more clear in it's directions. Once an event has been created, it's difficult to make any major changes to it. This is an understandable precaution on behalf of Seat Advisor, but it does make it more difficult for the box office manager. If you have fairly straight forward needs as an organization, then SABO will have everything to fit your needs. It is not incredibly complex, but it is a good starting point, and it's a must if you do not currently have online ticketing. Even though where most of my issues lie is the online portion of seat advisor, having an online ticket sales outlet has helped leaps and bounds with our business. It's almost impossible to not have online sales anymore. That has really helped and increased our ticket sales before the run of a show. Patrons don't have to wait for door sales if they are busy during office hours, instead they can get them online at any time. The reporting has been incredibly helpful. We use the "patron profile" report to see what new patrons we have added during this show. It also has helped us grow our patron base. "SeatAdvisor makes online ticketing easy "
The implementation process was very straightforward, with the largest obstacle being our internal volunteers adapting to the change from paper tickets. The training was done remotely though online collaboration and desktop sharing tools, which still continue today for any support needs which may arise. The per ticket and credit card gateway authorization charges can get high for a small non-profit such as ours, but we still feel that SeatAdvisor offers a superior product compared to the competition. Be sure to factor in training and support, as that makes a world of difference to get help right away. Using SeatAdvisor, we eliminated the need to have pre-printed tickets. Using the built in reports, we can better understand our sales, manage transactions, and budget for future shows. "A wonderful product which gives you control"
I like being in control, Seatadvisor allows us to manage all our ticketing needs, quickly and cost effectively. We handle everything from setting up events to managing customer queries and we can do it in a way that suits us. It give us flexibility. Promoter logins are a big help so that third parties can run their own ticket reports. Also being web based it means that it can be updated on the move from a smart phone. The online menu is a little outdated, also an app or mobile version would be a big plus. Also amendments to pricing (price structures) could do with refinement. Also the customer account menu causes difficultly for those that are unfamiliar with it's layout. It contains features far beyond what we use it for (accounting/selling merchandise) but it's incredibly stable and their customer service is great. We didn't have an online ticket option before this so it's meant that customers have a good local cost effective option instead of paying high fees to the likes of Ticketmaster. It also helps us gauge the popularly of events well in advanced as the culture moves to pre-sales more and more. SABO is incredibly user friendly. Its support staff is world class, and always are ready to help. I have always been able to call, day or night and receive incredible service from the staff. I have learned more through support staff, then I have through any other means of training. They are fantastic to work with and genuinely listen to concerns and needs. Because the events that we work are not theater based, as SABO is intended for, there are many solutions that we have had to implement, that do not fully work with the intended usage of the product. We often times have to rig the system to work for us, but it is not designed to work the way we need it to. We have also run into the issue that guests can be charged multiple times during a transaction. This usually occurs when the card information a guest uses does not match the information that is recorded when adding the individual as a patron. This can cause issues with the charge being recorded, but not clearing. Guests can be charged many times, but can never get their tickets, depending on how many times they attempt to run the card. I would recommend that if you are interested in implementing SABO that you create a connection with a representative for someone to be able to answer your questions. The support staff is world class, and having someone to help you through the different implementations and needs specific to your organization will be incredibly beneficial to your success. With SABO we are able to sell our tickets and seats for events effortlessly and with minimal issues. Although we have had to manipulate the system to work in our favor, we genuinely enjoy the system and its ease of use. I can train an employee to use SABO easily regardless of skill level with a computer. "Manager sois-meme la reservation de sieges pour un évnement"
Ce que je trouve dommage, c'est la dependence d'un system entièrement numérique. Il n'y a pas la possiblité d'imprimer son ticket pour certains évènement et donc l'on se retrouve uniquement avec son smartphone et un flash QR code. Cela souvent est porlbématique lorsque le smartphone n'as plus de batterie. On se retrouve oblige de recurpéré le telephone de quelqu'un pour aller sur sa boite email et récupéré son entrée. Continuer le developpement du logiciel. Je pense que l'association émitrice et responsable de l'évenement peux mieux controller la reservation des sieges dans la salle, surtout quand ils sont disposes d'une facon désordonné. A voir au niveau du prix si cela s'anonce si avantageux pour les petits évènement, ou l'on peux par sois meme effectuer la gestion des reservation des sieges. "Relativelt intuitive, but some glitches"
I like that the process of searching for previous patrons, going back and forth from one event to another, and adding new patrol info and payment options is so intuitive and easy. I dislike that SABO very often freezes, kicks me out of my log in session, and takes a long time to move through the ticket purchase process. I also dislike that one sometime is batch printed, even if it was unsuccessful or messed up in some way, the batch print it gone. I've used the batch print feature many times and on multiple occasions the print job didn't go through, and I lost all my sale data in the batch print. It's very time consuming to search for all the lost sales. The best option to fix this would be to have a button that asks "did your print job finish?" or "was the print job successful?" If not, you can click "no" and try again. Ticket sales can be unorganized, but SABO does help keep things concise and organized. The call staff for trouble shooting is wonderful. They are always quick to respond to issues and are always so courteous and professional. We have had to work on things a little bit with them because we are not their regular client base. We are a specialized event and at first it was hard to really sell like we needed to. But they have definitely worked with us, so really not a dislike. This company strives to help you in selling your event. They also have updated so much of their product because of some of the problems we have found. It has been great being able to have them work with us so closely. Seating charts in general have been solved and we have realized the benefit in having a company that caters to what you need. "Amazing software which saves every event"
The best thing is that I don't need to rely on a third party for selling of my tickets and admissions. SABO = equips me with the tools and resources which I need to manage their my ticket sales and I feel it is also designed to lower my cost of operations and enhance my productivity. The things that I've found to be most helpful is that there is no hardware required for installation, and the system allows me to control the feecharges associated with the orders. Using SABO, I can build an event and have it on sale within minutes and I feel like the possibilities are endless because it allows me to maintain the full control of my ticketing and marketing operations. The system is intuitive and it requires minimal training for new users. Another great PROs for using SABO are: it has more tools and features than we ever use, it is adaptable, with updates often developed at the suggestion of users, the available support is very responsive and last but not least, it is very cost effective. There are not many things not to be liked about SABO, but I believe that the fundraising functionality is still limited. Moreover, managing price structures is labor intensive and reporting is clunky at times. It takes time to understand reports and how data/sales are reported. Totally go for it! The software is very user friendly, which makes training a smooth process and the support is great! I am working within a business of radio operated models. I organize events for people with this hobby. I like this programme because it takes into consideration all the aspects regarding your event. Beside that it also provides help and advices for your event. It can be used for a large range of events from concerts to ceremonies with the same efficacy. It is a very cheap platform and it doesn't need any previous knowledges. Also I like that the programme is based on cloud so it doesn't need installation. When in trouble help is provided by well prepared technicians. I dislike that SeatAdvisor SABO still uses the old scanners they should focus in making the software available also to be used with iPads, iPhones or other smartphones. I would recommend to SeatAdvisor SABO to make it possible to scan tickets with smartphones. I used the SeatAdvisor SABO in many events, the last one was the end of the High School Graduate Ceremony. "Generally a positive experience over the years. " Our pricing model is very effective.. It enables us to offer competitive booking fees and as a result our sales are growing each year. By selling tickets directly through our site, we also increase our mailing list. Flexible system. Allows promoters to log in and check their own sales. Some issues with getting access to the email addresses for marketing purposes. Marketing directly from Seatadvisor never felt straight forward. Scanning of Print At Home tickets always seemed a bit complicated to keep track off. System isn't the simplest to use. Some customers have complained about being timed out and finding it hard to use. Seatadvisor gave us a quick way to sell tickets directly to our customers. Making us money on commission. And keeping ticket prices down. It gave our customers a real alternative to using Ticketmaster. I like that SABO is good at organizing our events with different prices and timelines. It makes it easy for the people who work in the box office to keep things straight and readily give our correct information. When batch printing occasionally prints incorrectly there isn't an easy fix and we have to stop everything else that's going on to fix it. The problems we are solving are organizing are ticketing information and making it easy for customers to purchase tickets online and see their seating chart. "An new era to buy tickets online"
My company recently was thinking of selling tickets online to the public, but we wanted a trustworthy and good approach to it. Fortunately, we found SeatAdvisor through word of mouth and the referral programme. They offered a excellent service and was on point with their promises. No more ticketmaster nightmare! I was solving the problem of providing an efficient solution to sell our tickets online. We realize that this company performed satisfactory and efficient results! "Does what it does well"
I like the fact that it is hosted on the Cloud. This means no installation and no OS compatibility issues. Also, can be accessed anytime, which is a great bonus. Easy to use and good at what it does. It also has great support and a dev team that listens to what the user says and accommodates it's requests. 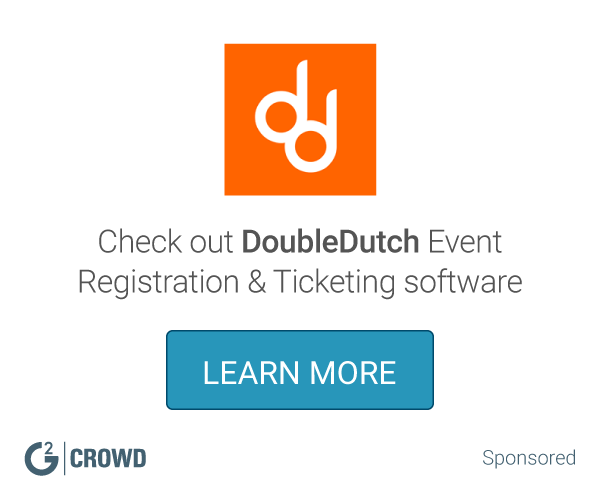 "Probably the easiest way to ticket your venue!" I really like the fact that the whole system is cloud based, meaning my data will never get lost and it makes support easy. I also liked the way they marketed my event, it turned out better than it would if I were to organise it. I dont disklike anything about it, it was perfect for what I needed it for, and for a great price, I got more than I expected I would have. I would definitely reccomend to those who want to plan an easy event. As said, I got a greater turnout than if I were to organise it myself or another company were to organise it. The management of ticketing and social media advertisment really helped the overall turnout of the event. "SABO - not bad but not great"
Keeping track of tickets we have sold, and selling tickets of different prices effiiciently. Online ticketing - The convenience is of great help to us due to our limited Box Office hours. It's inability to easily refund online ticket sales. Also, it is difficult to run a report for tickets that have been refunded. Able to run more ticket analysis reports. I like the easy interaction that is simple for users to operate. It does ask for a lot of information when taking patrons payments and does take a while. That it's very helpful in our need for free seating passes. That way we can track our totals and pull reports. That our customers call and report they are unable to purchase tickets for our concerts or think they did purchase but we do not have a reservation. User-friendly interface; the patron database was easily navigated. Lower overhead cost than predecessor. Ticket reporting could be cleaner when distinguishing between events. Strong product and ticket fees are low compared to competitors, would recommend. Creating ticketing solutions for sporting events. Good option for those that dont want or need to deal with the big guys. Works well for medium sized venues, not sure how it would hold up in major venues. Ticketing with social medial as a bonus. * We monitor all SeatAdvisor SABO reviews to prevent fraudulent reviews and keep review quality high. We do not post reviews by company employees or direct competitors. Validated reviews require the user to submit a screenshot of the product containing their user ID, in order to verify a user is an actual user of the product. Hi there! Are you looking to implement a solution like SeatAdvisor SABO?